Dr. Brian Ginsberg extends his knowledge and experience in cosmetic, laser and general dermatology to a wide and inclusive population. In treating all skin types, Dr. Ginsberg creates comprehensive treatment plans for his medical, laser and cosmetic patients. He represents the Chelsea Skin & Laser philosophy of providing expert care and individualized attention for every patient. His has a highly detailed and specific approach to skin care treating conditions like acne, eczema, psoriasis, rashes or warts. His facial rejuvenation techniques combine Botox, dermal fillers such as Botox, Resytlane, Juvederm, Radiesse, Voluma, chemical peels and lasers for natural looking results. Dr. Ginsberg shares alma maters with Dr. Eidelman having graduated with honors from Cornell University. Brian received his medical degree from NYU School of Medicine. While attending NYU, he was elected into the Alpha Omega Alpha Honor Society and awarded the prestigious Marion B. Sulzberger Award for Excellence in Dermatology. 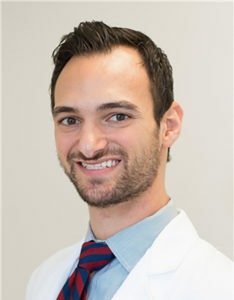 After dedicating time to melanoma research at Memorial Sloan-Kettering Cancer Center, he furthered his training in dermatology at the Ronald O. Perelman Department of Dermatology at the NYU Langone Medical Center as Chief Resident. A sought after speaker and lecturer on a variety of dermatologic subjects, Brian regularly contributes to a number of medical journals, textbooks and commercial publications. He has also been featured on SiriusXM’s Doctor Radio. Dr. Ginsberg is a world traveler but loves his home in NY. He is a dedicated father, theater goer and avid quote collector. You may register as a returning patient even if new to ZocDoc. Dermatologic care for lesbian, gay, bisexual, and transgender persons. Nonsurgical Management of Facial Masculinization and Feminization. A potential role for the dermatologist in the physical transformation of transgender people: A survey of attitudes and practices within the transgender community. Integrated NY-ESO-1 antibody and CD8+ T-cell responses correlate with clinical benefit in advanced melanoma patients treated with ipilimumab. Immunologic response to xenogeneic gp100 DNA in melanoma patients: comparison of particle-mediated epidermal delivery with intramuscular injection. Dermatologic care of the transgender patient. CTLA-4 blockade increases antigen-specific CD8(+) T cells in prevaccinated patients with melanoma: 3 cases.